Why Is Bone Marrow Transplant Done? Bone marrow harvest: In a bone marrow harvest, stem cells are collected directly from the bone marrow. 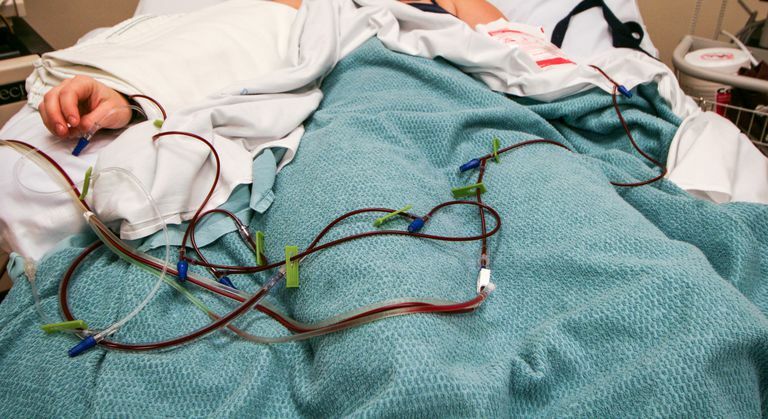 Apheresis or leukapheresis: In an apheresis, the stem cells are collected from peripheral circulating blood cells (PBSC.) An intravenous line is inserted in your arm similar to if you were to donate blood. Umbilical cord blood: Stem cells may also be obtained from blood in the umbilical cord shortly after a baby is born (cord blood banking.) Since these stem cells are immature, there is less need for a perfect match. There are many potential complications. The most critical time is usually when the bone marrow is destroyed so that few blood cells remain. Destruction of the bone marrow results in greatly reduced numbers of all of the types of blood cells (pancytopenia). Without white blood cells, there is a serious risk of infection, and infection precautions are used in the hospital (isolation). Low levels of red blood cells (anemia) often require blood transfusions while waiting for the new stem cells to begin growing. Low levels of platelets (thrombocytopenia) in the blood can lead to internal bleeding. A common complication affecting 40 to 80 percent of recipients is graft versus host disease. This occurs when white blood cells (T cells) in the donated cells (graft) attack tissues in the recipient (the host) and can be life-threatening. Are You Willing to Donate Bone Marrow? If you'd like to become a volunteer donor, the process is straightforward and simple. Anyone between the ages of 18 and 60 and in good health can become a donor. There is a form to fill out and a blood sample to give; you can find all the information you need at the National Marrow Donor Program website. You can join a donor drive in your area or go to a local Donor Center to have the blood test done.